Pastillas de leche | SMØRGÅSBORD! Stir in the butter, then the powdered milk. Mix thoroughly. Remove from heat and transfer into a clean bowl. Set aside until cool enough to handle. 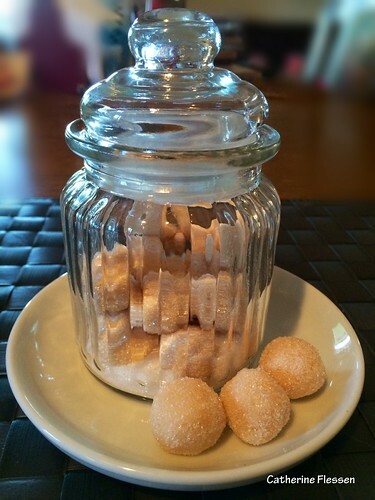 Form into balls or pastilles, then roll in the extra sugar. Store in an air-tight container; or traditionally, wrap each pastille in a square piece of paper, form into a cylinder, and tuck the sides in.